Join us in celebrating Australia’s annual festival of all things science and technology, National Science Week. Running from 10-18 August, National Science Week brings together everyone, from scientists and students to musicians and chefs, to take part in more than 2000 events across Australia, including by being part of Sydney Science Festival and regional festivals and events across NSW. It’s a wonderful week and Inspiring Australia encourages everyone to get involved. If you wish to host a public event as part of the prestigious national campaign, now is the time to start thinking about compelling themes, engaging activities, event dates and speakers. Sydney Science Festival events are selected by an Expression of Interest process that will open in March 2019. Each year schools around Australia explore a different theme as part of science week. This year’s theme is ‘Destination Moon: more missions, more science’, designed to encourage students to use big picture thinking to solve problems and design new solutions through the lens of space exploration and research. Teachers can download a free resource book to help guide their students though past missions to the Moon and space programs that have solved some of the seemingly unsolvable problems. Along with this, they can explore current and future space programs, operations and missions. Find more information here. Last year, Inspiring Australia’s Regional Science Hub partners developed a number of large scale festivals and events across the state including in Wagga, Bega, Wollongong, in the Blue Mountains, on the Central Coast, Newcastle, Dungog, Cowra, Orange, Bellingen, Lismore and Armidale. Highlights included the Art VS Science Festival in Lismore, the Riverina Science Festival, the Bega Valley Science Festival, SCINEMA screenings, a Night of Illusions in Armidale and a bumper line up of regional events including Science in the Pub, guided walks and collaborative art projects. Organisations in Sydney should consider being part of Sydney Science Festival that this year will run for ten days from Tuesday 6 August 2019. Produced by the Museum of Applied Arts and Sciences and Australian Museum to extend the reach of National Science Week in Sydney with support from Inspiring Australia, the Festival has gained strong support across the Greater Sydney Region. Expressions of Interests will open in March. 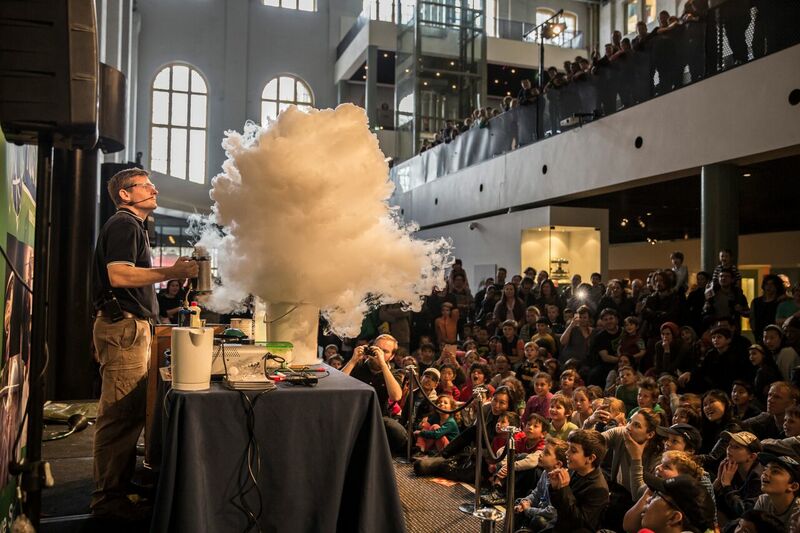 Last year was the fourth Sydney Science Festival with 200 events delivered across town by 90 presenting partners, attracting more than 85,000 audience members, many who participated in National Science Week for the first time. Highlights included international scientists joining local researchers to discuss everything from artificial intelligence to SciFi movies and science myth busting and the Indigenous Science Experience at Redfern led by Indigenous elders and students alongside non-Indigenous scientists. Dozens of young researchers participated in events at 33 local libraries and huge crowds turned out to participate in large-scale family events presented by museums and in the city’s parks and gardens, including Sydney Olympic Park and the Australian Botanic Garden at Mount Annan. Learn more about National Science Week and Sydney Science Festival. More about 2018 highlights here.